Hiya! I'm Austin Edington, a sophomore here at Loyola. I'm studying Software Engineering with a minor in History. I'm from Crete, IL, so I've always called Chicago home. In the summer I like to spend my time working at the Bristol Renaissance Faire where I dress up in weird clothes and reenact 16th century English military history. I'm involved with WLUW 88.7 FM, LUC's radio station. In my free time during the school year I love exploring Chicago, trying new foods of all nationalities, and being a part of the underground music scene that the city has to offer. Need a Summer Playlist? WLUW Has The Best Tunes For You! As you all must know by the multitude of blogs I’ve written about it, Loyola has one of the hottest radio stations in the Chicagoland area: 88.7 WLUW. Even if you don’t live in the area, though, you don’t need an FM station to stay tuned to the hottest underground artists we know and love! 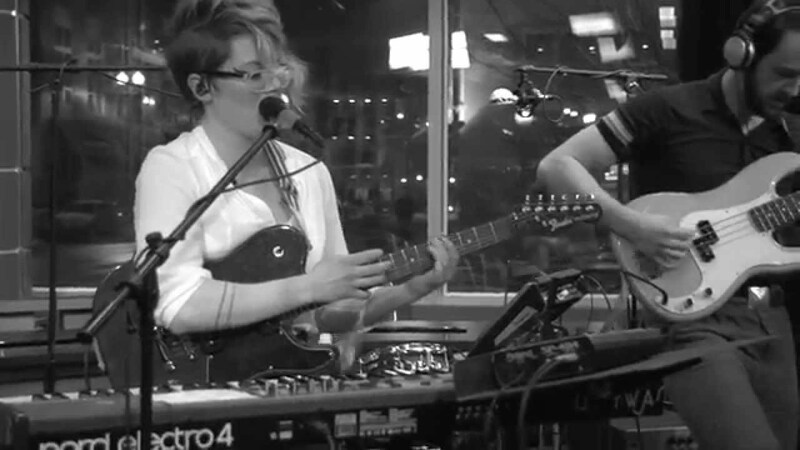 WLUW’s website (wluw.org) offers an mp3 live stream where you can listen on your laptop or other electronic devices. On top of that, WLUW also offers a phone app! Just search WLUW in the App Store or Google Play Store and you can keep your music going wherever you go! WLUW is a wonderful opportunity for music discovery, from playing well-known bands such as Arcade Fire and Tame Impala to much lesser known artists such as Warik, Thundercat, and Jay Som! Keeping the music going 24 hours a day, 7 days a week, you can even check the schedule to tune in to some of specialty shows, such as Inside the Vault, which discusses WLUW’s history as a budding college radio station in the 1970s. Want a little bit more of a visual performance? WLUW also has a YouTube channel where they post videos from live band performances at our School of Communications! I’ve personally been able to sit in for a few of those performances that should be released over this summer, and they are DEFINITELY something you don’t want to miss seeing. The bands the station pulls in are usually from Chicago, however for the Taste of Iceland Festival a couple weeks ago, two bands from Reykjavik, Iceland were nice enough to come and offer us performances! Either way, if you need tunes to listen to to help crank through the rest of finals week, this summer, or this coming school year, WLUW is always rocking out on the airwaves, no matter how near or far away you are from your favorite city. With the end of my 4th semester here at Loyola, and all of the 100-level core classes and basic classes for my major, it’s crazy to think about how I’m already halfway done with my career here at Loyola. I still distinctly remember going to Orientation the summer before my first semester, and all of the awkward hello’s, and freakish attempts to befriend everyone who’s in the exact same position as me. It’s still refreshing on campus to see those same Orientation Leaders on campus, and get to catch up on them. Knowing that someone has been genuinely curious about how I’ve fit in here on campus since before my first class even started has been such a great feeling. And since the beginning of my first semester, a lot has happened very quickly. I’d like to think that I’ve learned quite a bit from my core classes, to some of the classes required for my major, and I’m unbelievably excited to continue to take classes and watch myself grow more professional and skilled, preparing myself for the real world. These next two years are going to be long, and filled with many more sleepless nights I’ve had endure thus far, and MUCH more coffee. I’ve already heard a lot of talk of some friends preparing for graduation, and it’s crazy to think that that’s much closer then I’d hope for it to be. I know there’s plenty of Ramblers out there who feel the same way as me right now. I’ve also been able to be a part of multiple great organizations around campus. From WLUW, LUC’s radio station, to Diminuendo and Cadence, our Literary and Arts magazine, to giving tours as well as helping run the social media accounts for the Undergraduate Office! I’ve also been fortunate enough to see some groups start from the ground up since my first semester, such as KPU, a Office-esqe webseries based around some college students at a midwestern university. But! There’s still a week left and I have papers to write before finals start. Good luck on your finals, Ramblers, and have a fantastic summer! Music Festivals Around Chicago This Summer! We only have a couple weeks left of school, and like everyone else, I can’t wait for this summer. While some of you may be looking forward to bonfires, iced tea, seeing your pets back home (I know I am), or if you’re staying in the city, enjoying Chicago when it isn’t below 50 degrees. While I definitely can’t wait for all of that, my mind has been set on something entirely different, like a lot of people I know. Music festivals! I’ve already got my tickets for quite a few concerts throughout the summer, and I definitely have intentions of attending some of the music festivals happening all summer. Lollapalooza. By far the biggest music festival here in Chicago, world-renowned Lollapalooza features some of the hottest artists including Lorde, Chance the Rapper, Arcade Fire, and Run the Jewels this year. 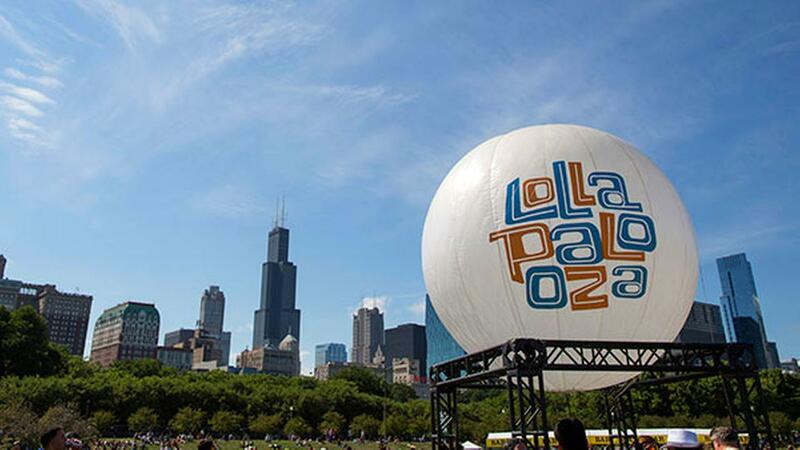 Lolla is a 4-day festival in August held in the expansive front yard of Chicago that is Grant Park. Every pass is already sold out (unfortunately, but not surprising), but fear not! If you haven’t gotten tickets and you’re still looking for some festival fun, here are a few others worth checking out. Pitchfork. One of my favorite festivals in Chicago, held in Union Park from July 14-16th this year, Pitchfork is keen on focusing on a variety of music tastes, but typically has many indie and hip hop artists. This year, Pitchfork will be hosting A Tribe Called Quest, Angel Olsen, Joey Purp, Isaiah Rashad, Pinegrove, and Mitski. Pitchfork is not only a great opportunity to listen to bands you might not have listened to before, but as a Rambler, you should take some Loyola Pride! Ryan Schreiber, a Loyola Alumni and ex-WLUW DJ (Our college radio station), had launched the indie media mogul, and maybe you recognize his name on one of our buildings at the Water Tower Campus? Spring Awakening. If you’re more into electronic music, whether that be house, trance, or trap, Spring Awakening might be more your style. From June 9th to 11th, artists such as AFROJACK and Louis the Child will be taking the stage in Little Italy. Producing flawless light shows with each performance, Spring Awakening is a very well-known electronic music festival not just here in Chicago, but across the country. Mamby on the Beach. One of the lesser-known festivals, Mamby on the Beach is held right on Oakwood Beach June 24th and 25th this year, with artists such as Miike Snow, STRFKR, Walk the Moon, and Saba (A Local Chicago Hip-Hop artist that’s done work with Chance the Rapper). If playing beach volleyball or taking a dip just feet away from a live concert sounds appealing to you, Mamby on the Beach is definitely one of the few festivals I personally know about where you can make that dream become a reality. 1. Stay Hydrated!!!!! Drink plenty of water throughout the day and at each performance. Partying can definitely make you thirsty, and having a water bottle on hand is important. 2. Wear sunscreen! The Chicago sun is unforgiving, and no matter your skin complexion a sun burn does NOT feel good. 3. Try to keep your phone charged! It’s always good to keep in contact with friends and family, and you never know when you might need to call that Uber. Get Your Laughs Around Chicago! With there only being about a month left of classes (scary, I know! ), there aren’t many chances left to get a ~Chicago Experience~ which, in my opinion includes comedy shows. Chicago has consistently been a hub of laughter, especially with improv venues like Second City that is very well known to many people, producing comedians including Chris Farley, Stephen Colbert, Steve Carrell, Bill Murray… the list goes on. But being broke college students, you don’t always have the option to shell out for those tickets. So below, I’ve added a couple places that I’ve been able to enjoy that usually have some great acts around the North Side!! 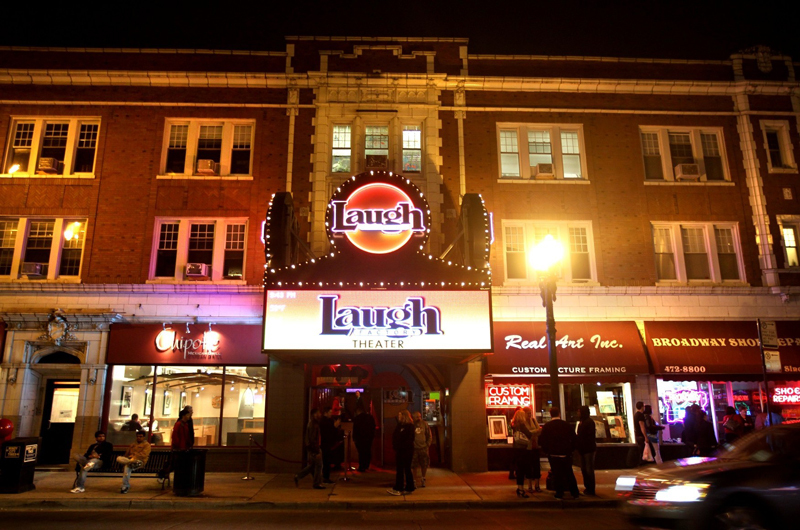 On the corner of Broadway and Belmont, the Laugh Factory usually has some great deals for college students especially. From 2 Top $10 Tuesdays, featuring 10 acts from around Chicago to perform, Open Mic nights, Supply and Demand comedy shows featuring some of the hottest acts, with most events costing between $5-$10! Check their website here for an updated schedule and see what’s going on! 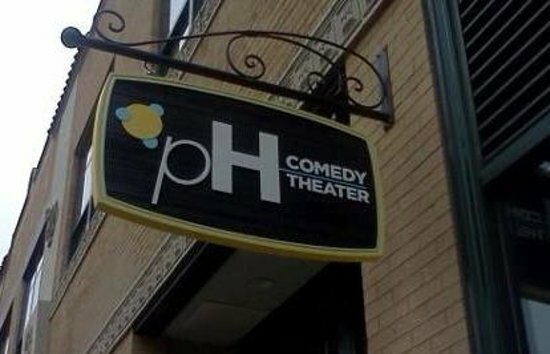 Located at 3914 N. Clark, just north of Wrigley Field is the Public House Theatre, with specialty shows with sketches from Vote Brainoid, an evil genius running for mayor in a small Illinois town, to mixed shows with stand-up, improv and sketch comedy works. Some of their shows are 21+, however, so check their website here for dates, times, and prices! Close to our campus in Andersonville (1515 W. Berwyn Ave), the pH Comedy Theatre has numerous themed improv shows such as “Choose Your Own Apocalypse” every Wednesday at 8pm, for $5 a ticket! Other shows include “Women on Top” at $10 a ticket for students, and many other shows! Here is their website to check out ongoing shows, ticket prices, etc! Right in Boystown, on Belmont and Halsted the Playground Theater has a multitude of shows practically every night that you can check here for their calendar, with themed shows from talented individuals combining personal stories tackling things from identity, to womanhood, to normal improv shows that are hilarious! Many shows are $5 for students, and are definitely worth it. (Some of) the Best Places to Get Pizza Around Chicago! We all know that if there’s one thing Chicago is known for, it’s definitely pizza (sorrynotsorry New York). As Ramblers, there’s plenty of places around the Chicago that are go-to’s to have some of the best pizza, outside the bigger names (Like Giordano’s or Lou Malnati’s) that I personally love. Pequod’s Pizza. Located on the corner of Webster and N Clybourn, Peqoud’s is very well known for their caramelized crust and their deep dishes, so if you’re looking for a filling and flavorful deep dish, this is the place to go. Deep dish within itself is a pretty big meal, but Pequod’s is a master of a flavorful, thinner crust while still holding together the rest of the pizza. Bartoli’s. 1955 W Addison (A block west of the red line stop) is where you’ll find this gem. Owned by the grandson of a founder of Gino’s East, Bartoli’s is a Chicago pizzeria through and through. A sweet red sauce, and stacked high with mozzarella and toppings, if you’re looking for an “authentic” Chicago style pizza, Bartoli’s is definitely a place to head to (especially since it’s across the street from the home of the winners of the MLB World Series!!). Nueva Italy Pizzeria. Deep dish not your thing? Located not far from campus (7109 N. Clark St.), Nueva Italy Pizzeria is one of the many spectacular hole in the wall restaurants that you’ll find in Chicago. Their thin butter crust is the perfect thin crust if you’re looking to focus more on the cheese and the sauce, instead of a lot of crust. And they deliver to campus!!! Chicago Pizza & Oven Grinder Co. Not far from Lincoln Park Zoo at 2121 N Clark St, the Chicago Pizza & Oven Grinder Co. has a specialty on their menu that is unlike any other pizzeria around the city: Pizza Pot Pies. Loaded with cheese, homemade red sauce with Italian sausage, mushrooms, and pepper, and triple raised Sicilian crust, the pot pie is a must-try for almost every Chicagoan, I think. With a fluffy dough and a hearty center of meat, cheese, and sauce, this compactly combines a flavorful punch all that is good and right with a pizza. Despite loving all of the places listed above, I definitely saved the best (in my opinion) for last. Chicago has hundreds of options for quality pizza, but if you want to break away and try out some other places around the North Side, here’s some of my favorites! Ways to Enjoy the Warm(ish) Weather Around Chicago! With winter already come and gone here in Chicago, and things are slowly starting to heat up, it’s always good to think of ways you can enjoy Chicago before you drown in homework and projects for Finals Week! Below, I have some things that you (and your friends) can enjoy to help make the most out of the rest of your semester! Depending on how active or not you are (I know I’m not very, but I’m trying to be better about it), there are tons of ways to enjoy Chicago, and I’ve attempted to compile a list that include free things AND cheap things, because I know very well what it’s like to be a broke college student. The Lakefront Trail. Most Ramblers know about this very well, but whether they’ve done it or not can differ very much. I intend to ride the full 10 miles down to Navy Pier as soon as I can, just to experience the Chicago Skyline from that point of view. For those who don’t know, the Lakefront Trail begins just east of the Thorndale Red Line stop, that goes all the way down to Navy Pier (Where there a bike rental shops conveniently around Navy Pier). Maggie Daley Park. Another physically healthy activity around Chicago, essentially within Millennium Park, Maggie Daley Park includes a rock climbing wall(free), tennis courts(free, rentals varying from $15-$20/hour, depending on when during the week you go), and mini golf($10), with admission prices included after each thing listed. Art Institute of Chicago. If the weather isn’t warm enough for you, but if you still want to get out and enjoy Chicago, every Rambler who doesn’t know, SHOULD know that your Loyola ID gets you in to the Art Institute FOR FREE! The Art Institute has so many amazing art pieces, some of which are very well known, including (but not limited to) Nighthawks, American Gothic, The Old Guitarist, and “Untitled” (Portrait of Ross in L.A.). Lincoln Park Zoo. About a mile east of the Fullerton Red Line stop, the Lincoln Park Zoo is a free zoo that’s open year round, that’s a great place to go! (And also a fun date place for you love birds). Chicago History Museum. On the corner of Clark and North Ave., if you’re a history nerd (like myself), the Chicago History Museum compiles all of our beautiful city’s history, from Jean Baptiste Point du Sable settling along the Chicago River in the 1780s, to the Chicago Fire, to Al Capone and Chicago’s mobster history. Tickets are $14 with your student ID! Chicago River Walk. While it would be difficult to spend a full day on the Chicago River Walk, if you find yourself in the Loop the serenity of the Chicago River Walk and seeing the skyscrapers from such a top-down view is very cool in my opinion. DuSable Museum of African-American History. If you’d like more diversity in museums to visit, and are down for a very cheap visit, on the corner of 57th and S Cottage Grove is the DuSable Museum of African-American History, just east of the Garfield Red Line stop, with tickets just $7 with your student ID. The DuSable Museum once again, starts roughly from when DuSable settled on the Chicago River to the present, focusing on the achievements, goals, and art of Chicago African-Americans. Frank Lloyd Wright Houses. If there is one thing Chicago is blessed with, is the number of Frank Lloyd Wright houses that dot our city, with crazy architectural skills and designs that differ so wildly from anything I’ve definitely ever seen. If architecture and SUPER COOL buildings and houses are your thing, you can click here to view where the Frank Lloyd Wright houses and and buildings are around Chicago, and how much tours cost depending on which place you are interested in. The closest house is actually just about a mile north of campus on Sheridan, just east of the Jarvis stop! Hopefully this helps you Ramblers enjoy Chicago without spending much money, with a variety of things to do as the temperatures keep rising and rising!! For those of you who’ve either decided on attending Loyola for the coming Fall semester, or if you have been accepted, but haven’t made a decision yet, I want to talk about a motto you’ll see in most of Loyola’s buildings on campus. If you’ve taken a tour on campus, you’ve likely either seen “Ad Majorem Dei Gloriam” or “AMDG” within some of our buildings or on the art that we have around our campus. From Latin, that translates to “For the Greater Glory of God”. And while Loyola is a Jesuit University, and about 40% of our students do identify as Catholic, the school harbors so much more diversity among that. Personally, I don’t identify with any religion. I’m agnostic, and religion has never been something I was very concerned about having as an essential part of my life. And with seeing the Society of Jesuit’s motto so often, it always seems to have a deeper meaning to me. Now that I’m almost done with my first two years here at Loyola, I can see the meaning of the motto come to life in more way than they are directed. Constantly, I always think about “For the Greater Glory of All Things” as a translation for the motto, as that speaks to me on a more personal level. There is a variety of core classes that Ramblers take through their time at Loyola, ranging from topics on environmental science, to history, to ethics, to literature and many other subjects in between. And while that can seem draining, after taking the classes, I realize their necessity now. In an attempt to making their students more well-rounded individuals, Loyola wants their students to be aware of the rest of the world around them. Loyola takes pride in the strides its done thus far. We’re the 7th greenest campus in the nation, and the only urban campus in the top ten, Loyola was just named to produce the 14th largest amount of students for the Peace Corps from Medium-sized universities around the country, and some artifacts that we have on campus are reminiscent of the work that the school has done in the past. Encouraging students to do volunteer projects, Loyola tries to ensure that their students are learning about the world, not just from the classroom, but apply their knowledge elsewhere. With the ability to go on Alternative Break Immersions for Spring break, Ramblers are able to go around the country and visit impoverished areas, from the South Side of Chicago, to East St. Louis, to the Appalachians in West Virginia, and not just help rebuild the communities, but learn from people living in those areas, and their outlook on their situation. And if you support the fight for justice, you don’t have to look far to be a part of it all. Loyola offers volunteer programs everywhere for its students, but the fight can be much closer to home. In the two years I’ve been here, there have been a number of peaceful protests that I’ve witnessed and had been a part of, that range from a Black Lives Matter protest, to supporting marginalized peoples around the globe, including refugees from Syria. Equality has always been a big part of my childhood. I grew up in a diverse area, and was witness to a number of people and cultures, and the struggles that many of them faced, no matter their race, class, or what have you. And I feel like Loyola shares similar values, ensuring that all of their students are accommodated for, including a Hall of Faith for its Muslim students, Jewish students, Hindu students, Protestant students, and other spaces for students to pray and meditate if they feel inclined to. It’s reassuring to me, knowing that I go to a school that cares so much about each individual, making sure that they feel safe and comfortable on campus. And through all of this, Loyola’s motto resonates among it all. Fighting to equality for all people, and caring about the world itself, truly for the greater glory of All Things. Keeping Your Mind (And Body) Healthy! We all know that the Wellness Fair had happened this past Fall Semester, but just because it’s well over doesn’t mean you can stop taking care of yourself! Midterms are are right around the corner if they haven’t started for you, and if you’re anything like me, you have projects and papers abound on a weekly basis that you have to worry about. I’m gonna give you a couple tips or hints that are helpful to me that might be able to help you as well, whether it be throughout the semester or during Finals Week! Try to manage your time evenly. If you don’t have much homework one night, try to pick up the homework due in the coming days so you can catch up with your classes! There’s no sense in waiting until the last minute to do everything and it’s only going to be detrimental to your sanity to stress yourself out like that. Don’t over-work yourself! Whether you’re studying for an exam, working on a paper, or both, don’t overwork your brain; it’s the most important muscle you have, and gets tired just like every other muscle. Try not to study or work for more than 90 minutes with 10 minutes intervals in between. If you’re studying, to remain focused, roughly 60 minute sessions in between breaks should help you retain the information properly. Don’t lose (much) sleep over assignments! Going off the last point, it’s important to not overwork the rest of your body as well. If you have to pull an all-nighter for a paper or a project, it’s important that you go no more than 36 hours without rest, as any time after might provide detrimental side-effects to how you begin processing information, as well as your fine motor skills. Remember to eat well. While studying it may be easy to forget meals, if you’ve filled your body with copious amounts of coffee or energy drinks(we’ve all been there). And while it may seem pretty straightforward as to why eating breakfast, lunch, and dinner are important, it may also help you to snack on certain things to help improve brain productivity. Nuts, like almonds, pistachios, and walnuts, contain a good amount of iron and also provide oxygen to the brain which increases your mental alertness and ability to retain information. Another helpful snack to consider are your fruits! Apples, and a variety of colorful berries such as blueberries, cherries, black currants, grapes, raspberries, blackberries, and cranberries all contain antioxidants specifically to increase bloodflow to your brain. Pet TiVo the Therapy Dog! A lot of us (including myself) have a dog or dogs back home that we love and miss and that are genuinely therapeutic to our mental health. 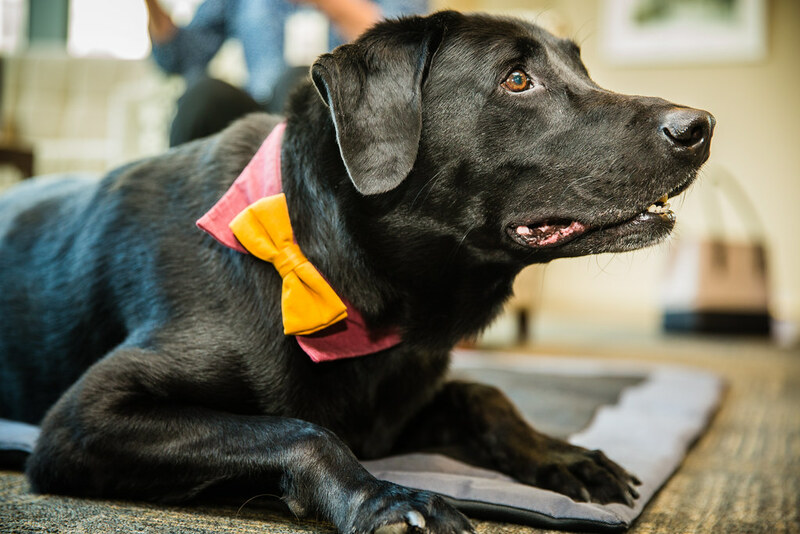 And while we can’t bring our dogs with us to Loyola, we DO have TiVo the Therapy Dog that is always between our LSC and our WTC looking to brighten peoples’ days. Not sure where TiVo might be around campus? Follow him on Twitter for live updates as to where he might be at (@tivotherapydog). If you haven’t had very many chances to find and pet TiVo, I always recommend behind his ears and his lower back, and you’ll be his friend for life. And even if these hints aren’t entirely helping you, that’s okay! Loyola wants to ensure the mental and physical health of all their students, and if you ever are feeling sick and want to talk to a nurse, our Dial-A-Nurse number is: 773.508.8883, and from the Wellness Center’s website http://www.luc.edu/wellness/ you can make an appointment to talk to a therapist. Both resources I’ve personally used, and there’s no shame in admitting that you need to take care of yourself. Throughout this semester, and the semesters to come, make sure that you’re doing everything you can to make sure you’re healthy, happy, and successful. A New Exhibit at LUMA! When we think of puppets, the first thing that might come to your mind is something like Sesame Street, or ventriloquism. However this month, at the Loyola University Museum of Art (also known as LUMA), has a new exhibit open to the public about Indonesian Puppetry. With the help of the Department of Anthropology, LUMA brings to life the history, and culture behind the puppets. The exhibit was designed by the students, from presenting the pieces they have, to researching information, and everything in between. With all the students to work in an environment outside of the classroom, LUMA’s giving students within the Department of Anthropology a chance to apply skills they’ve learned thus far, and the students working on the exhibit are very excited to share their work with not only you Ramblers, but the general public! This interactive exhibit is open to the general public for the rest of February and is FREE to Loyola students with their ID, so if you still need things to do, OR if you’re looking for a post-Valentine’s Day cheap date with that special someone, I definitely recommend it! Room Selections are coming up! What next? Don’t stress about your lotto number. Even if your’s is lower than you were hoping, your roommate with the highest number can still make the decision on where you all end up, and grabbing you (and your roommate(s) if you’re aiming for a triple, quad or a quint) with. It’s okay if you don’t get your top choice. Me and my roommates last year didn’t get our top choice, but we still lucked out if not did even better than where we were hoping. Every residence hall that Loyola has amazing amenities for every student, even if you might not get a room with a kitchen. And even still, every floor in upperclassmen residence halls has a kitchen open to students. It doesn’t hurt to make your own roommate agreement. While it may have been long, in depth, and tedious to sit down with your RA at the beginning of the school year, it’s good to get into the habit of doing this for the future, even if you’ll be doing a roommate with your RA in your new dorm. Especially with having to worry about taking care of your own bathroom, and potentially your own kitchen, it’s important to know who cleans when and what specifically, especially if you have a kitchen. Setting strict deadlines for when people should have their dishes done by, or when they should throw out their leftovers may seem a little intense, but it pays off in the long run. It’s much better to have a strong idea of the cleanliness of the room, so no one starts to hate one another. Also, if you’re all cereal eaters and all use milk, it’s a good idea to figure out a rotation for community resources, or similar things you’ll all be using. It’s good to have friends outside of your potential roommates. While you may be considering living with your friends this semester, it’s also great to have other commitments, whether it be clubs, organizations, or just other people to chill with. Living with a close friend is a different experience, as you’ll be sleeping in the same room as them, and seeing them much more often than you might see them now. This is all just from my own personal experience, but to those who might be stressing out about room selections, hopefully these tips can help those relax just a little bit, and figure things out so they can get the most out of next school year!